Here You Leave Today: I love Disney, so why not RunDisney ?? I love Disney, so why not RunDisney ?? Growing up I never joined any teams in school, never played any recreational sports. It's not that I'm particularly nonathletic, it's more that I'm not much of a fan of being on a team. I've always been more of a 'lone wolf' if you will. Not to say I don't enjoy the company of people and have friends, it's more along the lines that I don't like relying on others. If I succeed or fail, I want it to be on my terms. Control freak? Maybe. So when it came to playing sports, I never really had the desire to do so, that was until I discovered running. Running and I used to hate each other. In high school, the end of the year final was a mile run. Run. Ha. Run. No. It was more of a casual jaunt or low speed jog. I was lucky if I crossed the finish line under 20 mins. No joke. 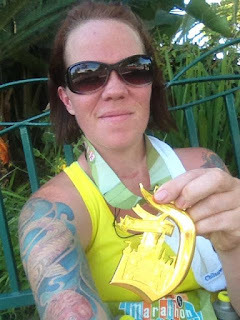 It wasn't until I had my adult life with work, job, kids, husband, house that I found a comrade in running. With running, I was alone. I had that oh so beautiful moment of solidarity. Where it was just me and my headphones and the road. No one asking for a snack, no bills needing to be paid, no emails needing responses. Instead I found peace. I found quiet. Something this mid-thirty year old mom needed. So just as anything in my life, I found a way to incorporate Disney into it! And that was with RunDisney. 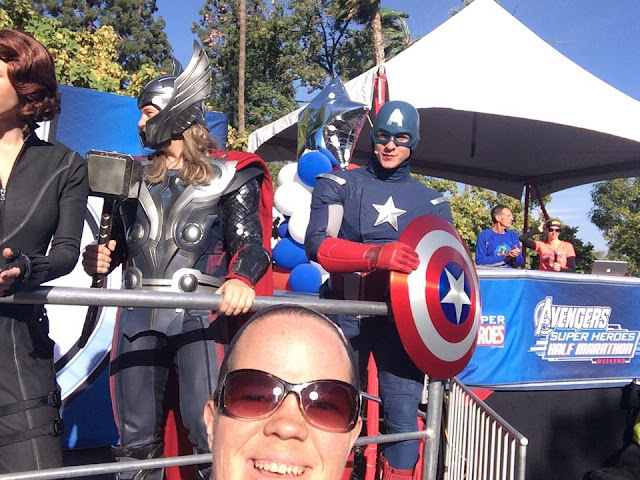 My first half marathon was the Disneyland half in 2013, my second was the Inaugural Avengers Half in 2014. (*side note...I did register for the Disneyland Half for 2014 and the Star Wars Inaugural 10K in January of this year, but due to a condition and surgery with my knee I was unable to, and deferred them..I'll talk more about deferrals later). And my triumphant return to running after a massive knee surgery is scheduled for January 2016 where I'll run the Star Wars 10K. 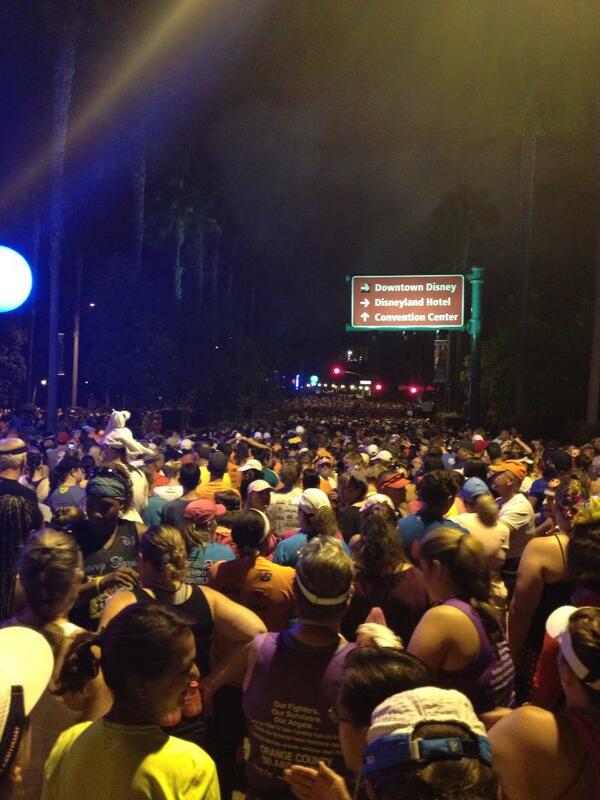 RunDisney events historically sell out the same day registration opens, if not within a few hours. A tip to get a first chance to register for the races is to utilize or sign up for other Disney memberships you may already have. 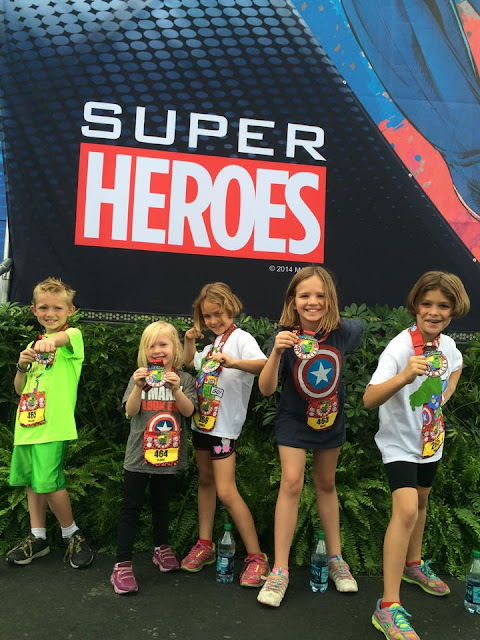 Disney Visa, DVC and Annual Pass Holders get an early registration link to sign up for the races before the general public. 2. Know what races you want to sign up for ahead of time. While it's called Half Marathon weekends, there are more than just half marathons to run! They have Kids Races (diaper crawl to 400m dash for 7-8 year olds), 5k, 10k, Halfs and challenges! 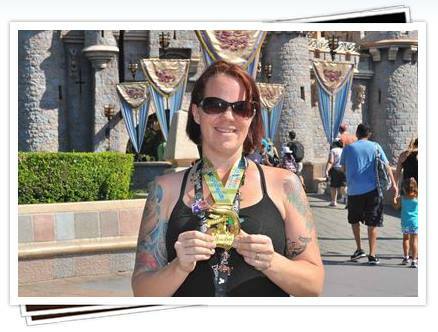 Challenges usually consist of running the 10k and Half, but they also have ones like the Dopey Challenge, where you run the 5k, 10k and Half! So budget accordingly and have everyone's information in front of you when you are online. You don't want to be caught looking for that credit card number or address and lose your spot for registration. 4. Visit the Expo early. With each race there is an Expo that starts a few days before the actual races are to take place. The Expo is not only where you will be picking up your packet, it's where you get to become completely overwhelmed with all the running gear, hydration and fuel you never knew you needed. You think you've got all this running stuff figured out, and take one step in the Expo and you feel like a transfer student into a new high school where everyone has known each other since kindergarten! If you have the time though, walk around and check out some of the stuff the vendors are selling. You never know, there may be a pair of princess socks you can't live without. 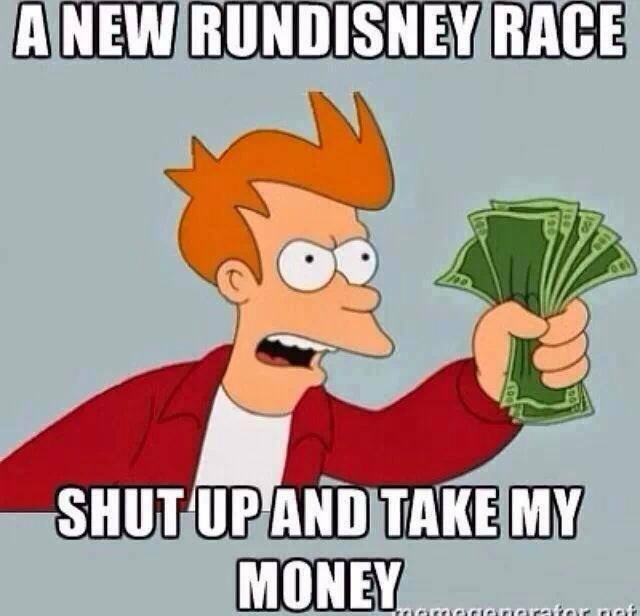 In addition to the gear being peddled by vendors, there's all the actual RunDisney merchandise you'll want to get your grubby little hands on before anyone else. For the Avengers race, the line just to get into the merch area was about an hour and a half wait. (I was terribly disappointed when I realized it wasn't the line for Space Mountain once I hit the front of the line... ;) If you don't arrive early to get in line for the merch, chances are the size you're looking for in that one shirt you have to have will be sold out. I still think Disney needs to figure out a better system to this whole process, as many times it's not even the runners who are buying all the merch and turning and selling for a profit on e(vil)-bay. 5. Arrive early to your corral, but not TOO early. 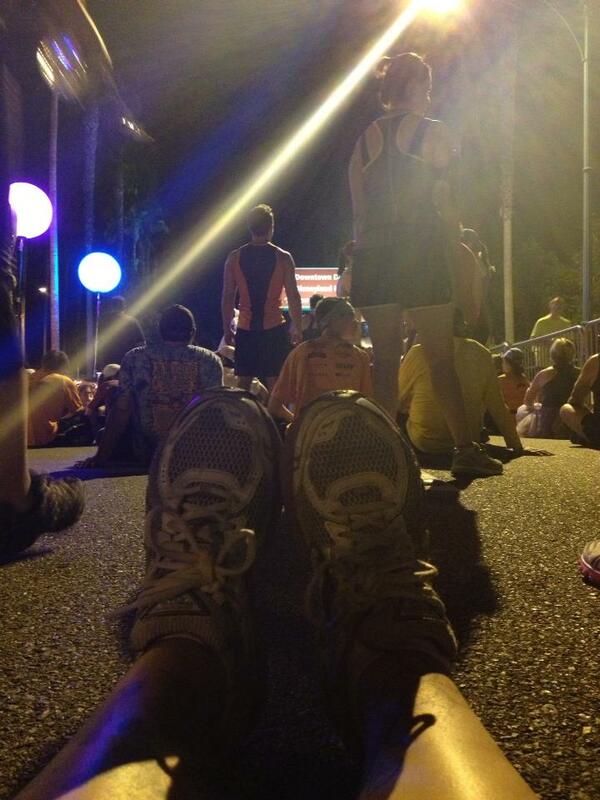 My first RunDisney race I was up and ready to go at 3am. I had my husband and kids pile into a car and drive me to the drop off area. (Since then I've learned to stay much closer to the park and just walk). I arrived at 4am, just as they said to do in the little booklet. And I was so ready, adrenaline pumping, I was fueled and hydrated. And then.....I waited. And waited. AND WAITED. I waited until our corral (which happened to be the last since I had not previous time to submit) to cross that start line at 6:50am. Yes. 6:50am. I had waited nearly a full 3 hours in a mass of thousands of people. By this time I was tired of standing/sitting, I had to pee, I was thirsty and my fuel had all but left my body. 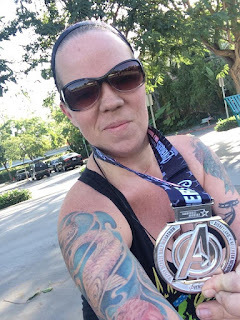 My second RunDisney race, I showed up at 5am. Found my corral and waited again, but this time, was only for about an hour. They had planned it much better, however still there were some massive problems RunDisney didn't account for..but you can search on that later. So make sure you show up in time to start the race, but don't bother coming as early as they suggest. Or if you do, be prepared to wait. 6. Take pictures with characters! That is of course if time allows. RunDisney works with Anaheim PD and for the Half Marathon they have to close a large section of public roads, so they do put a time limit on the race. Last I remember it was 3hours and 30mins. If you're under that time, great. If you're looking like you may just squeak in under the time limit, you might want to fore go the character pictures and just focus on finishing without being swept (yes, swept. Like Cinderella cleaning up the tower, there are people who follow the end of the line with golf carts, and if they catch up to you...you're swept up onto a bus and driven to the finish line. (Yes, you still get a medal. Basically if you cross the start line, you get a medal.) But I digress...IF you have time, stop and take pictures with the characters that are along the route. They're there to support and cheer you on. But if you don't you can always do like I did....the run by selfie! Yeah, that's right. Captain America think's I'm nuts, but I don't mind. I love him! 7. Mile markers make good photo companions too! Nope, not me. I didn't have time to stop and take a picture with it. Another run by photo! 8. Take it all in. 9. Look for your crew. That last little push I needed. My family cheering me on at the finish line. Just when your legs say you can't, your heart says yes, yes you can. 10. Wear that medal proudly! After the race, for the rest of they day, your trip or week. Even at home! Wear that thing like a badge of honor because you did it! There is nothing anyone can do or say to take that away from you. Be proud of it and show it! 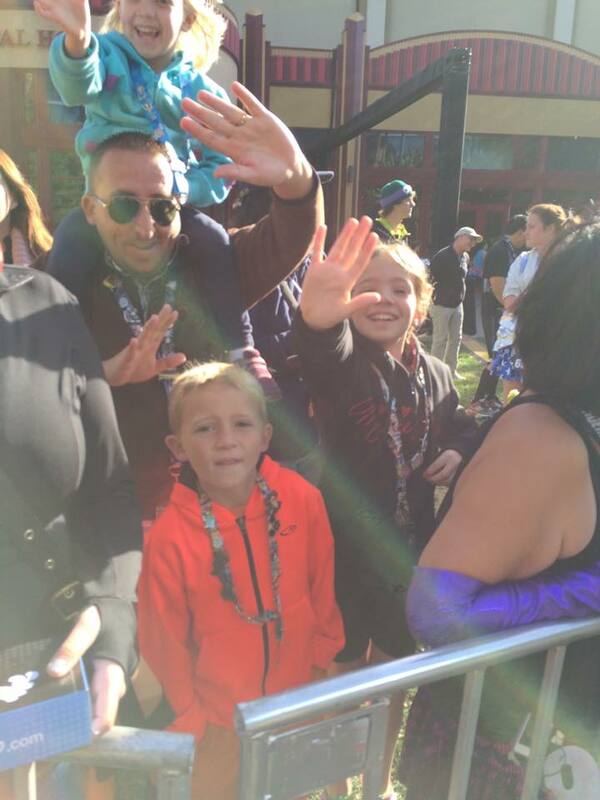 Plus in the park, you get a lot of 'ooohhhs' and 'ahhhss' from people and high fives from CM's! And in the very sad and off chance that you can't run your race as anticipated, RunDisney does offer deferrals on races 10k and farther. 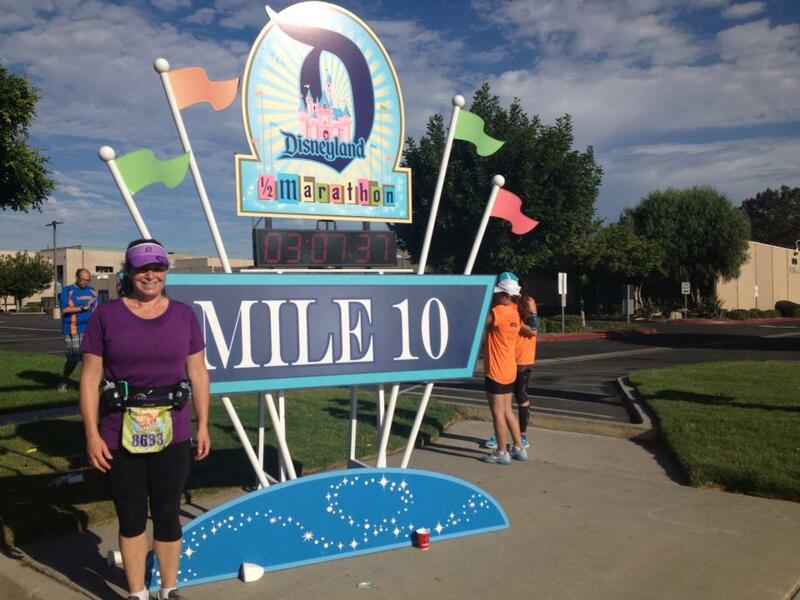 Just visit the RunDisney site for steps on how to defer your race. But let's not think about that, instead, get read to RunDisney! Click here on June 16th at 9am PST to register for the Star Wars Half Marathon!